…On Pentecost Sunday, the Holy Spirit worked a miracle in each of the apostles, and through them, in the whole Church. As the apostles were huddled together around Mary in the Upper Room fifty days after Jesus rose from the dead, suddenly from heaven there was the sound like the rush of a driving wind that filled the entire upper room. Tongues of fire came down and rested upon each of them and all were filled with the Holy Spirit... They received the Holy Spirit's help boldly to proclaim Jesus...as tongues of fire — tongues because they were to speak, fire because they were to speak with the passion of burning love... Jesus had promised that the Holy Spirit he would send would teach them all things, lead them to all truth, remind them of everything he had taught them, and prove the world wrong about sin, holiness and judgment. Then, moved by the Holy Spirit, they began to fulfill this mission. The Acts of the Apostles had begun. Well, the Acts of the Apostles continues down to our own day. God wants to write new chapters, with each of us — and that includes you — playing an important role. The wind is still blowing. The fire of the Holy Spirit still burns. Each of us, however, needs to let the Holy Spirit in to do his work. Each of us has to allow the Holy Spirit to bring about a similar miracle in us. Let us beg the Holy Spirit to fill us with tongues of fire, so that with passion, love and great courage, we might bring the Gospel out to our world which so desperately needs to embrace it. Come, Holy Spirit, Fill the Hearts of your faithful and kindle in them the fire of your love! As mentioned a few weekends ago, Fr. Matthias Kim will be leaving St. Joseph’s at the end of June. We wish to thank Fr. Matthias for his contributions and time here at the Parish, and especially for his work with the schools and kids. The official farewell will be held Sunday, June 24th, from 2:00 – 4:00 pm, with cake served in the Parish Hall. All parishioners are invited. The Canadian Conference of Catholic Bishops (CCCB) has released a letter, in preparation for Pentecost, which explains why freedom of religion and conscience is necessary for the common good of countries, such as Canada, where religious diversity is the norm. When these freedoms are disregarded or repressed, the human person – human society – suffers. 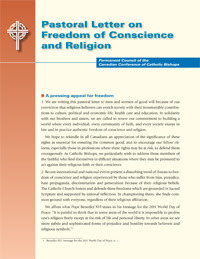 The pastoral letter, “encourages all faith communities to contribute to the formulation of public policy and the common good, and concludes by exhorting believers not to compromise their convictions, but to stand up for their faith.” The letter can be downloaded freely from www.cccb.ca. Two printed copies of the full letter are available – one at each entrance to the Church for those wishing to have a quick read through. 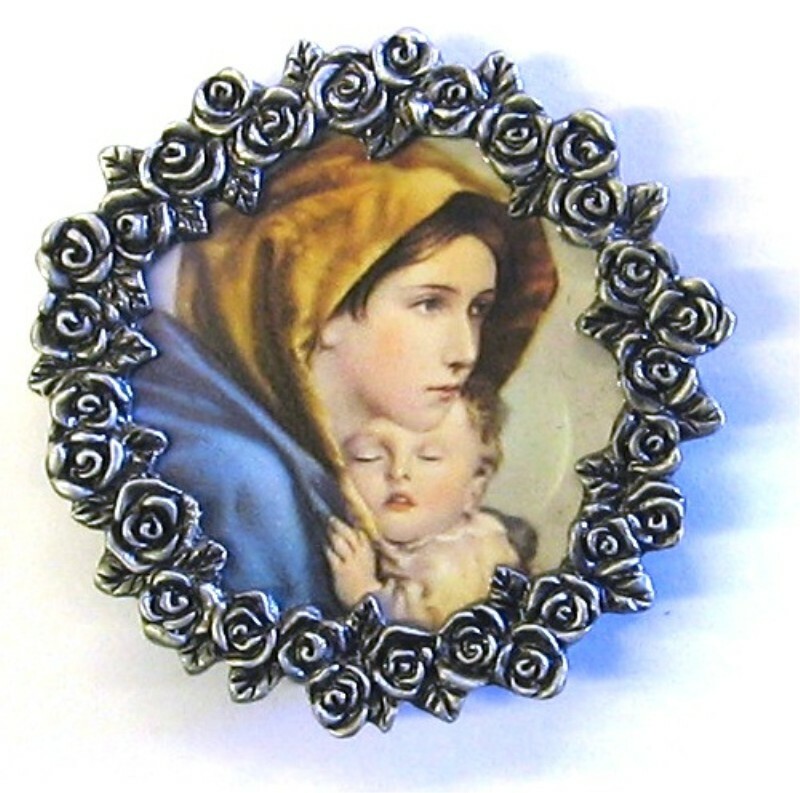 A Happy and Blessed Mother’s Day to all Mothers! MS Society will be selling carnations after all Masses this weekend for Mother’s Day. A great way to show mom you love and appreciate her while supporting a great cause! All proceeds go to those living with MS in our community. 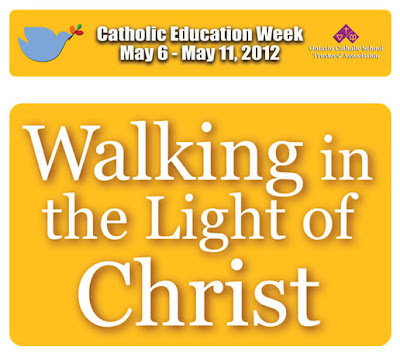 “Walking in the Light of Christ”: We invite parishioners to join in celebrating this particular week and the contribution that Catholic schools make. We are ever mindful of the important partnership between parish, home and school, each playing a critical component in the faith journey of the thousands of students entrusted to the Catholic school system. We continue to pray for all those committed to bringing the light of Christ to our young people. God of Love and Light, You show us the path of life. In Your presence, there is fullness of joy. We long to hear Your voice; we yearn for Your grace. to open our hearts to Your call of love.